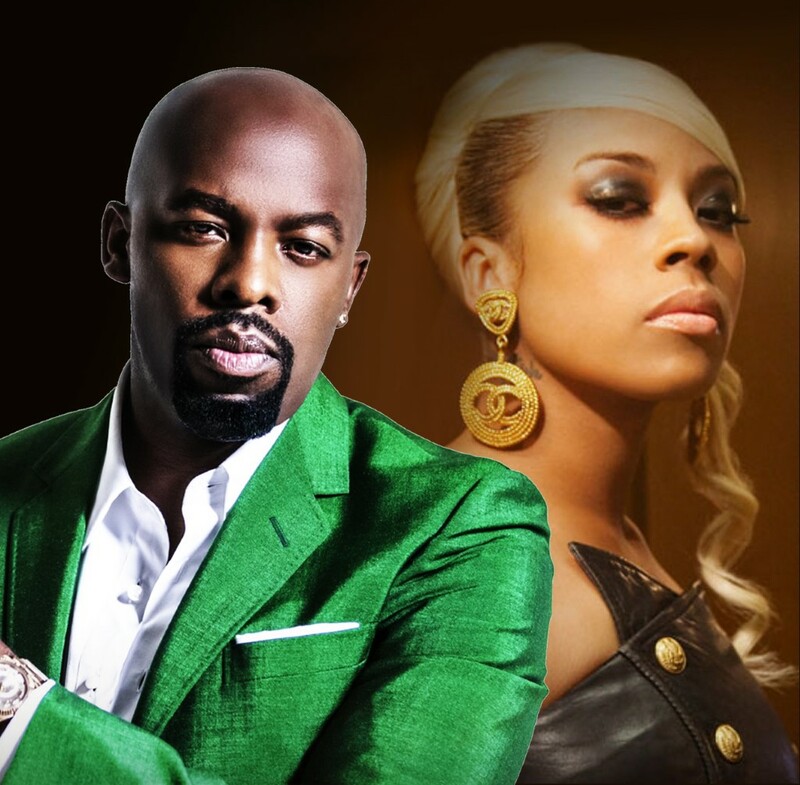 For the first time in history, US R&B superstars Joe and Keyshia Cole will come together to perform a rare yet exclusive three city UK tour for the first major R&B concert of 2019. Opening its UK tour on Saturday 23rd February 2019 at the Manchester Academy in Manchester, the R&B greats will perform live consecutively on Sunday 24th February 2019 at the O2 Academy in Birmingham, before hitting the UK's capital for its closing night on Tuesday 26th February 2019 at the Eventim Apollo in Hammersmith, London. Returning to the UK stage for the first time in almost six years, Grammy nominated singer and songwriter Keyshia Cole, is one of the most successful female R&B artists of the millennium. Stepping on the scene in 2005 with her breakthrough single co-written by John Legend , 'I Changed My Mind' featuring Kanye West, off her Top 10 debuting album 'The Way It Is', Keyshia Cole took the music industry by storm, selling over 1.6 million copies and charting on the Billboard charts for over a year earning her platinum status. The songstress' follow-up album in 2007, 'Just Like You' - a mixture of up-tempo and heartfelt ballads hit the charts at Billboard's No.2 spot making it Keyshia Cole's highest selling album with 1.7 million records sold including three No.1 singles. Going on to produce five more successfully selling albums worldwide - 'A Different Me' (2008), 'Calling All Hearts' (2010), 'Woman To Woman' (2012), 'Point Of No Return' (2014) and '11:11 Reset' (2017), Keyshia Cole has released some unforgettable melodic hits such as, 'I Remember', 'Heaven Sent', 'Last Night' featuring P.Diddy and 'Trust' featuring Monica. Championing the music game whilst keeping relevant through two decades of music, plus collaborating with some of the music industry's Pop, Hip-Hop and R&B elites from 2Pac, Nicki Minaj, Nas, Lil Wayne, French Montana, Lil Kim, Future, DJ Khaled, Remy Ma, Missy Elliott, Ashanti and Robin Thicke, Keyshia Cole is an unstoppable force with no signs of slowing down any time soon. The R&B crooner and Grammy nominated songwriter, Joe, is definitely not a stranger to the UK. After much demand from his UK and European tour in 2017, Joe is set to blaze the UK stage once again for a three-night special. Serenading true R&B and New Jack Swing lovers of the '90's with his debut album 'Everything' and follow-up album, 'All That I Am' in 1997; plus, his most successful three times platinum selling international album 'My Name is Joe' in 2000, earned him his position, as the King of R&B. Joe's solo success continued to reign on the charts in addition to collaborative hits such as 'Thank God I Found You' featuring Mariah Carey and Nas, 'Still Not A Player' featuring the late great Big Pun, 'Ride Wit U' featuring G-Unit, 'Where You At' featuring Papoose and remixes/features with Kelly Rowland, Fantasia, Shaggy and Gucci Mane; plus his joint single with 50 Cent on 'Big Rich Town' as the theme track for the popular US crime drama show Power. With over 25 years in music, 13 studio albums and more than 15 million records sold, Joe has undeniably stayed true to his craft and produce timeless R&B classics such as, ''All The Things (Your Man Won't Do'), Stutter', 'I Wanna Know', Let's Stay Home Tonight' and If I Was Your Man'. Set to hit the stage performing his catalogue of R&B classics and songs from his most recent 13th studio album, '#MyNameIsJoeThomas', it's time to celebrate the best of legendary R&B next spring! Tickets are available now and range from £35 - £70+, hit the link below for ticket info.